No pressure, upfront and honest. Jeff was great and gave us all the time we needed to make our decision. They were very nice and easy to work with, and were quite knowledgeable about the various used cars on their lot. Jim was very friendly and helpful.... He made the entire process of trading in my SUV and purchasing a newer SUV very easy. This dealership is pretty straight forward and transparent. Jim Chikos went above and beyond to listen to our needs and work with us to ensure we were comfortable and happy with not only our purchase, but the entire process. We were treated with respect from the time we first arrived to test drive vehicles right through the completion of the finance paperwork. We were not pressured and there were no typical “games”. We appreciate the customer service principals of this dealership. KEN ROTHE IS THE BEST SALESMAN EVER!! !Our family was recently blessed with twins girls and we struggled for about a month trying to fit 2 car seats in the back of our small Hyundai Elantra. 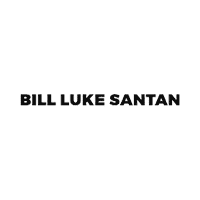 We came into Bill Luke Santan and got the opportunity to work with Ken Rothe. He helped us find the perfect vehicle for our new family of 4. Now we have a beautiful, safe, and spacious 2016 Ford Explorer. Ken was wonderful and we HIGHLY recommend working with him for your future vehicle needs! Thank you again Ken!